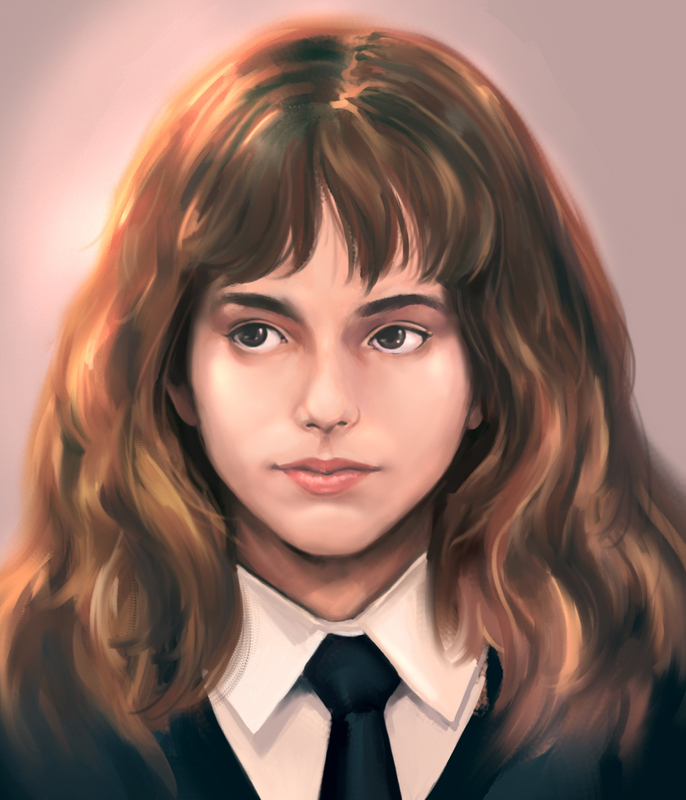 A new portrait study of Hermione Granger (Emma Watson)..
Feel a little weird to say that I painted Emma Watson since she is all grown up now. Plus, its from a screen shot of Harry Potter and the Sorcerer’s Stone anyway. Got to say, their acting in the first movie are really decent. It’s no wonder that the movie got famous. Not a lot of book adaptation involving young actors did well these days. Oh well, I started this painting as I would like to expand to painting a bigger age group in characters. So get ready for more kids studies. It feels great to be painting again. Will try to keep a more frequent update..